Disney’s “Aladdin” doesn’t hit theaters until May 24, but guests on board will have a chance to catch a sneak preview of the new live-action film starting April 19. Check the Personal Navigator for times. Norwegian Cruise Line has announced that towel animals will no longer automatically greet guests on their beds as they go to retire for the evening, on select ships. While the creations are fun, the cruise line is looking for ways to reduce laundry and increase sustainability. 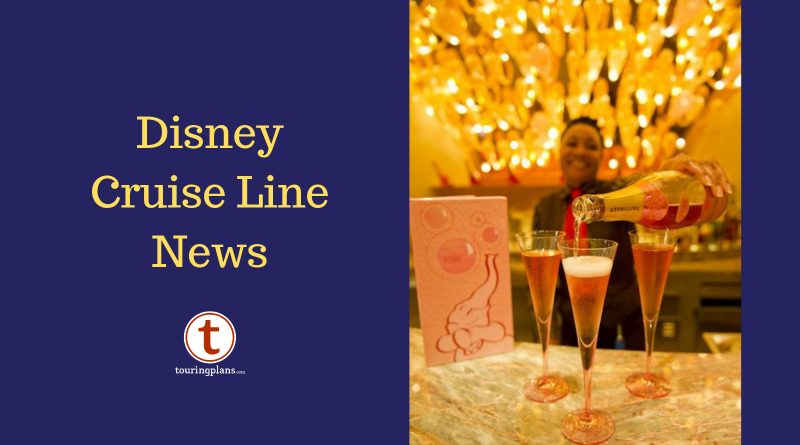 How would you feel about Disney Cruise Line following suit? Want to double your fun on your next, or maybe even your first, Disney Cruise? 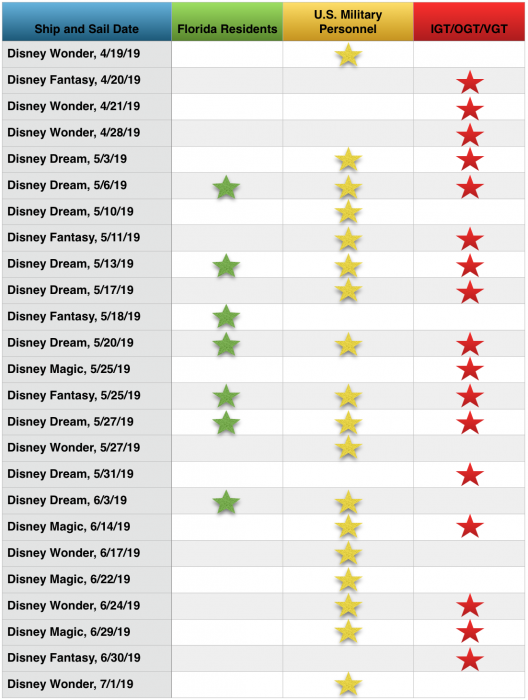 Join our friend and the mastermind behind the Disney Cruise Line Blog, Scott Sanders, and his family, for the inaugural DCL Blog Group Cruise on June 19, 2019. Spend 4-nights on the Disney Dream, with not one but two stops at the glorious Castaway Cay! What’s this all about you ask? Well, cruising is always fun, but even more fun with friends. But how can I say “friends” when you don’t know anyone else going? Don’t worry, it will be one big group of new friends before you say Bon Voyage! There will be plenty of fun to take part in with the group. Things will get going right on embarkation day with a champagne tasting for adults, and some Midship Detective Agency fun for the kiddos. Nassau day will include a live Podcast recording, adult pool bar crawl, and kids’ scavenger hunt. Both Castaway days are going to be full of excitement, as the group takes over the Castaway Cay 5K to “Trot with Scott” one day, and starts the other indulging in Palo brunch! More together time thank you were looking for? That’s okay — all activities are optional! Come to one, come to all (really though, go to all). It is a group cruise, but it is YOUR cruise! With just under 70 days to go, now is the time get on board and make it official! Can’t swing June? No worries — because DCL Blog Group Cruise 2 is already on the books for February 20, 2020! A four-night cruise on the Disney Magic out of Miami sounds pretty tempting, right?? Visit this link to find out more info on how to join the fun!